Food-tech unicorn Zomato is in advanced stages of discussions to sell its UAE business to Germany-headquartered online food delivery firm Delivery Hero in a deal pegged at around $200-250 million, a media report said. 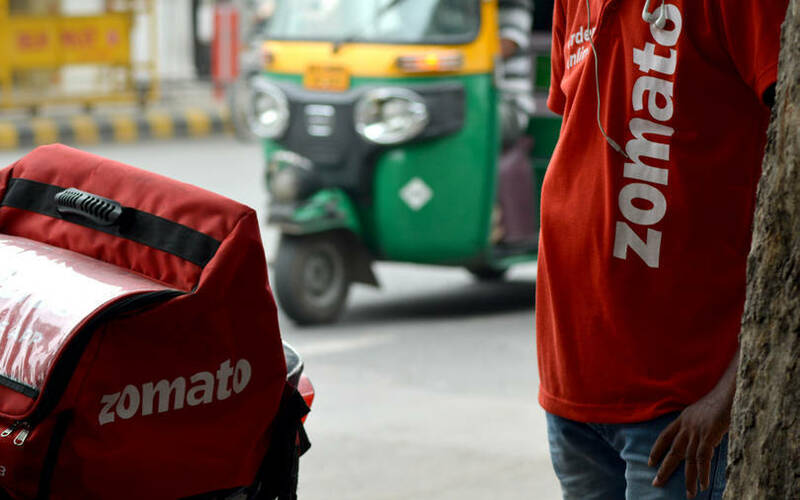 Zomato sees this divestment move as an alternative fundraising mechanism to beef up its cash reserves as it continues to face stiff competition in the Indian market from homegrown rival Swiggy, The Economic Times reported. Bengaluru-based Swiggy’s most recent funding round was the single-largest investment by any food-tech firm the in the country. The report further said this could be a move orchestrated by Zomato co-founder and chief executive Deepinder Goyal to prevent Ant Financial from gaining any more stake in the company. Ant Financial already owns 28% of the company. The development comes at a time when Zomato has been looking to raise as much as $1 billion. The company has been in talks with existing investor Ant Financial, an affiliate of Chinese e-commerce behemoth Alibaba Group, for the fundraise. The report also said that Zomato was trying to seal a deal with Chinese private equity firm Primavera Capital for a fresh round of funding. Zomato has hired Goldman Sachs to raise the capital, it added. Meanwhile, Zomato investor Info Edge (India) Ltd is unlikely to take part in the new round of funding as it feels that competition with Swiggy will require a large amount of capital. “This has become a game that is slightly too big for our balance sheet to even maintain our stake, and if it is a very large round, it would mean a very significant outlay on our part. So that will not be our preferred option,” said Sanjeev Bikhchandani, executive vice chairman at Info Edge, in a conference call with analysts on Tuesday. "We don't comment on rumours and speculations," a Zomato spokesperson told TechCircle in response to email queries on the development. In October 2018, Zomato had raised $210 million from Ant Financial. Eight months before that, it had secured $200 million from the same investor at a valuation of more than $1 billion. Swiggy is backed by South African internet conglomerate Naspers and venture capital investors SAIF Partners and Accel. It had raised $1 billion in December 2018 from Naspers, Alibaba's Chinese rival Tencent and other investors. In comparison, after its latest fundraise, Swiggy’s valuation has skyrocketed to around $3.3 billion. Swiggy also leads Zomato in terms of monthly order volumes, a person in the know told TechCircle earlier this month. Zomato’s operating revenue grew 40% to Rs 466.36 crore while net loss shrank to Rs 106.3 crore from Rs 390 crore in the year before that, according to the company’s filings with the Registrar of Companies. Delivery Hero earlier had a presence in India through Foodpanda, which it sold to ride-hailing company Ola in December 2017. Zomato, Swiggy and Foodpanda also compete with UberEats, the food-delivery of the US-based cab aggregator.